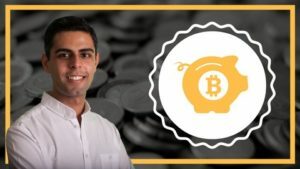 I was excited to sit down and have an interview with Ravinder Deol, who is a a Certified Bitcoin Professional and after absorbing a lot of his content, he has one of the more sensible approached to how we approach this new financial revolution. He's been involved in the Cryptocurrency and Blockchain space since 2013, and has seen it grow tremendously. He said he saw a white space in the structured education of it all. So he's taken it upon myself to help you get all the knowledge you need in one place!